Share minibus and bus is the cheapest way to get from Bangkok to Koh Chang. Below, we give you all the information needed on the wide range of services available, whether it be the hotel to hotel share minibus or the VIP bus from Khao San Road, the direct Suvarnabhumi Airport bus or the public bus and minibus from Ekamai and Morchit Bus Stations. Of the services listed, we can book for you the hotel to hotel share minibuses and the VIP bus from Khao San Road, so please use the form below or the Contact Us page or email, giving us details of your dates of travel, number of people, hotel in Bangkok and resort in Koh Chang. The share minibus hotel to hotel Hoppa can be booked to pick you up from your hotel in the main central tourist areas at Silom, Sathorn, Khao San Rd, Pratunam, Sukhumvit and Suvarnabhumi Airport hotels. If you are unsure of whether your hotel is in the collection zone, please just ask. Prices for the hotel to hotel share minibus range from 950bt to 1,000bt per person with ferry ticket with an additional 100bt per person for delivery to hotels in south Kai Bae Beach, Lonely Beach and Bailan. Bang Bao and Bang Bao Beach are both on request. If travelling as one person only, there is also an additional charge dependent on hotel location and availability. Pick-up in Bangkok is from 07.30am to 09.00am depending on your hotel location with Suvarnabhumi Airport hotels later, the last stop as the minibus heads east to Koh Chang. Once all passengers are collected from their Bangkok hotels, journey time is between 4.5 and 5 hours to the mainland pier at Ao Thammachat (Koh Chang Ferry, the fast one). Once on Koh Chang, delivery time is from 10 minutes to 45 minutes depending on resort location on the island, with the minibus dropping off passengers at different hotels as it moves down the island. The minibuses are Toyota Commuters with seat belts. Return trips are offered from 900bt upwards with ferry ticket (if booked with the downward journey) to a central Bangkok Hotel, 800bt to BKK Suvarnabhumi Airport and 900bt to Don Mueang Airport. There is an additional 100bt for collection from south Kai Bae Beach, Lonely Beach and Bailan. Bang Bao and Bang Bao Beach are both on request. If travelling as one person only, there is also an additional charge dependent on Bangkok hotel location and availability. There are two times for the return. The morning service leaves from Bang Bao Beach (the far end of the island) at 08.00am and works its way down the island to Ao Sapparot and the 09.30am ferry across to Ao Thammachat. There is also an afternoon service, 13.00 from Bang Bao Beach with the ferry at 14.30. The trip takes about 5.5 to 6 hours from the pier on the mainland side. Please note traffic going into Bangkok can be very heavy in the evenings, so drop-off at hotels in the Sukhumvit area do take time. We recommend the morning departure in these cases. Low season will likely reduce to the morning service only, but please just ask. Payment is either with an initial deposit via PayPal – you do not need a PayPal account to pay this, it can be done with any card – or we sometimes take payment on the day direct, but please note if booking a return and paying on the day, payment is in full for both legs on the first day of travel. Children are charged at full price as they require a seat. Babies, not toddlers, if on the parent’s lap, are free. Book This with Us Here stating dates, hotel names, number of people, return if needed or use the booking form below or just email us at explorekohchang@gmail.com. From Khao San Road, there is a VIP bus (or minibus if numbers are very low) service which departs at 8.00am from a pre-arranged meeting point and arrives at the ferry pier (Ao Thammachat) at 15.30, price 550bt per person including the ferry ticket. Collection is also possible from 08.45am from the front of Hualamphong Station. After the crossing, you can then take a songthaew taxi or at certain times of the season, there is a minibus delivery to the door of your resort up to and including Bailan Beach for a further 150bt or up to Bang Bao Beach for 200bt. The return is 550bt per person with the ferry ticket and again, transfer from your resort can be organised for a further 150bt. If you take your own taxi, you must be on the 10.15am ferry at Ao Sapparot. The bus leaves from the mainland side at 12.00pm. Journey time back to Bangkok is 5.5 to 6 hours, calling at Rama 9 (Srinakarin) for the Suvarnabhumi Airport Rail Link (ARL), Hualamphong Railway Station and Khao San Road, arrival at 18.00+. You can then connect to country wide services if you are planning a mammoth trek, as many of these depart early evening. Payment is fully in advance via PayPal – you do not need a PayPal account to pay this, it can be done with any card. We then send you a voucher to print and show on the day or show on your phone, together with full details on the meeting point. Book This with Us Here or use the form below. If the form gives an error message, please just email us at explorekohchang@gmail.com with your preferred service, dates, hotel names, number of people, return if needed. Suvarnabhumi Burapa Co runs a direct service from Suvarnabhumi Airport Terminal Level 1 Door 8 to the ferry at Ao Thammachat, with delivery to your resort up to Bailan Beach. In old webpages, you may sometimes see it listed as Bus 392 or the Lonely Beach Express – forget them completely, it is this service. The company uses buses and minibuses depending on what time of the day, see the timetable below. If using a bus, you change to a minibus for the crossing and subsequent delivery to your resort. If using a minibus/microbus, you drive onto the ferry and off the other side. The cost is 600bt per person with ferry ticket and resort delivery as far as Lonely Beach for the minibus or Kai Bae Beach if the microbus. A return ticket purchased at the Airport is 900bt but this does not include the transfer from hotel to the Klong Son depot for departure, 100 to 130bt extra dependent on where you stay. If one way only from Koh Chang, the price is 500bt to 600bt (dependent on the beach) with the same 100bt to 130bt extra for the transfer from your resort to Klong Son. Children are charged at full price as they require a seat. Babies, not toddlers, if on the parent’s lap, are free. The telephone numbers used are 089 113 3490 or 083 794 2122 (Bangkok Office) and 081 660 5926 or 039 550 078 (Koh Chang Office). We only book the service from the Airport with a 150bt booking fee added per person. The 999 service run by the Transport Company leaves from Bangkok Ekamai, the eastern Bus Terminal, via Suvarnabhumi Airport Bus Station, direct to Centrepoint Pier and Ao Thammachat Pier in the Laem Ngop area. Ekamai is located at the BTS (skytrain) station of the same name on Sukhumvit Road, literally just down the steps. The first departure of the day at 07.45am (08.20am at BKK Suvaranabhumi Airport Bus Station) heads to Centrepoint Pier, arriving at 13.30 to 13.45. The second and last departure of the day at 09.00am (09.35am at the Airport Bus Station) goes to Ao Thammachat Pier but does then continue on to Centrepoint arriving at 14.45 to 15.00. Ferry details are here. The return is daily at 14.30 and 16.30 from the mainland side at Centrepoint Pier, so you need to be on the 12.30pm or the 13.30 for the 1st return bus and 14.30 or 15.30 ferry for the second one. This in turn means allowing ample time for your taxi down the island to reach the pier, leaving from Lonely Beach, for example, at 11.00am for the 12.30pm and so on. This service does run an additional bus, leaving from Ekamai via Suvarnabhumi Airport Transportation Centre (Bus Station), which goes to Trat Bus Station only, once a day at 11.05 (11.40 at the airport), 236bt. From Bangkok to Trat, air conditioned buses depart frequently throughout the day from either Ekamai Bus Station or more sporadically from the northern bus terminal at Morchit. Morchit is a taxi ride away (not walking distance) from Morchit BTS station – use exit 3 to drop down to the highway and the taxis are lined up waiting. To reach either bus station from Khao San Road, you will need a taxi or you can walk to Hualamphong Railway Station and join the MRT (subway) and ride this to Morchit only or connect with the BTS for either Morchit or Ekamai. Times given are taken direct from the listings at the respective Bus Stations in Bangkok and in Trat but even their listings do not always match up perfectly, so those in brackets below may or may not run. Trat Bus Station is a couple of kilometres out of town – it is not walkable – with songthaew taxis costing 30bt per person to take you into the centre. Taxis direct to the Koh Chang piers cost 60bt per person but only leave when deemed full, so if you do not want to wait, expect to pay 300bt if 2 pax to hire the whole vehicle and go immediately. In Trat itself, as you head out of town past the covered market, there is a another public taxi on the corner by the chemists, opposite the entrance to the temple, where taxis leave for 50bt to 60bt per person to the two ferry piers, again when deemed full. Taxis coming back from the piers follow the same pricing and ‘full’ system, so, if there are only a few passengers, will either increase the cost per person for immediate departure or wait for the next boat. This runs every 2 hours, starting from 06.00am up until 18.00. It takes 5 hours and costs 270bt. You can use the services from 06.00am to 12.00pm to make a Koh Chang connection, by getting out about 30km outside of Trat at the Saen Tung junction and changing to an orange open songthaew taxi (50bt) which delivers you to Ao Thammacht Pier, about 30 minutes travel time. At the changeover, they will also sell you a ferry ticket at 80bt – it’s all very easy with the booth at Ekamai selling you the ticket including the songthaew. The return leg is the same price and just as frequent, but you will need to get to the ferry pier at Ao Sapparot on Koh Chang (Ao Sapparot to Ao Thammachat), where you can buy tickets. If going from Trat Bus Station, the service starts at 04.00am. An identical Triple T (TTT) service runs from Morchit Bus Station to Trat Bus Station. The booth, number 16, is 3 lanes over out the back of the terminal in the main area from where the vehicles are all departing. Times are again very frequent at 05.00am, 6.00am, 9.30am, 12.00pm, 12.30pm, 13.30, 15.30 and 18.00. You can change as above at Saen Tung to a songthaew taxi for Ao Thammachat Pier and Koh Chang, but check when booking that your time will definitely make the connection. 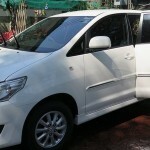 Share minibuses from Pattaya, hotel to hotel, are 750bt per person, with an additional 100bt for delivery to resorts in south Kai Bae, Lonely Beach and Bailan. Bang Bao is on request. Collection time is from 07.0am to 07.40am from central Pattaya hotels. From Ban Phe (pier for Koh Samet), the minibus is 350bt to Ao Thammachat with the ferry tickets both ends included and 600bt to your resort door, with the prices the same for the journey in reverse. There is a minibus service that leaves three times a day from Koh Chang at Ao Thammachat, going to Ban Phe (Koh Samet), Rayong and Pattaya with times of 11.00am (10.15am ferry), 12.30pm (11.45am ferry) and 15.30, (14.45 ferry) for 480bt. Public buses do operate along this route, but are slow and probably best avoided unless Trat is your destination. In Trat, you can pick up a minibus, with ferry ticket, for 140bt direct to the east side of the island. This daily service leaves at either 12.00pm or 13.00 (you have to walk up and check in the morning) to Salak Phet, with drop offs possible right round the bay to Chek Bae. You’ll find the minibus parked up in the left hand corner behind the food stalls of the temple area, which itself is through the arch behind the old Trat Department Store, diagonally opposite the covered market in the centre of town. There is a return run at the unholy hour of 5.00am, with picks-ups from your resort possible and arriving in Trat about 7.30am. The number of buses and their times are subject to change depending on demand and the different tourist seasons, with telephone numbers also not always picked up or discontinued. Please Contact Us to for all your Car Rental needs - Sedans, Fortuners, Pick-ups. For motorbike enthusiasts, we also rent out a Honda 250cc CRF.